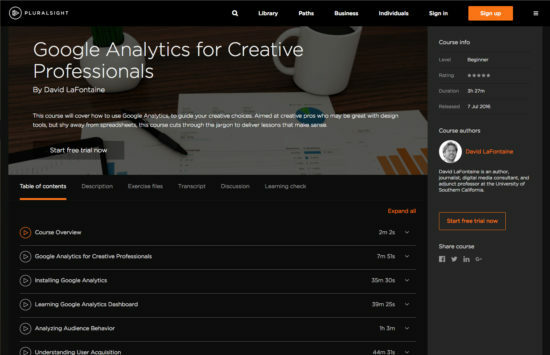 David LaFontaine has created a new series of videos for Pluralsight, aimed at teaching creative professionals to learn Google Analytics, and get over their fear of the spreadsheets, numbers, charts and graphs in web analytics. Yes, we all know that creative professionals are often, well, numbers-phobic. But the problem with that in the modern content-creation ecosystem is that the decision-making process on creative projects is increasingly dominated by all the Big Data analytics that corporations are awash in. By abrogating the decision-making power on creative projects to only what analytics show – and not having someone with a foot in both worlds, creative AND data-driven – organizations are losing the “human touch” in their marketing, product design, hiring practices, etc. etc. 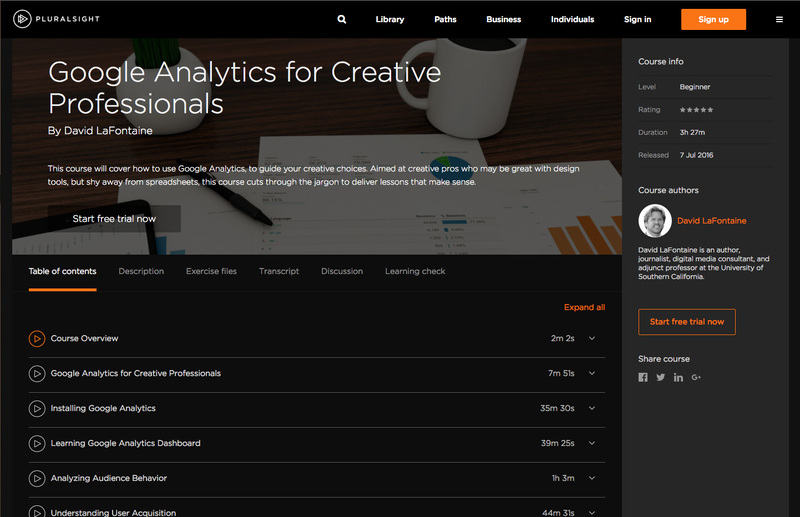 These Google Analytics training videos are designed to make “creative types” (designers, writers, photographers, video producers) relax and get over their anxiety. Yes, web analytics can get really, really complex. But with a little understanding and practice, the creative professionals who have been walled out of decision-making, can regain control of their creations. And maybe even learn how to make them better. Check out the teaser video below, for a flavor of how this training series uses humor and warmth to cushion the learning process. Google Analytics for Creative Professionals from DigitalFamily.com on Vimeo.